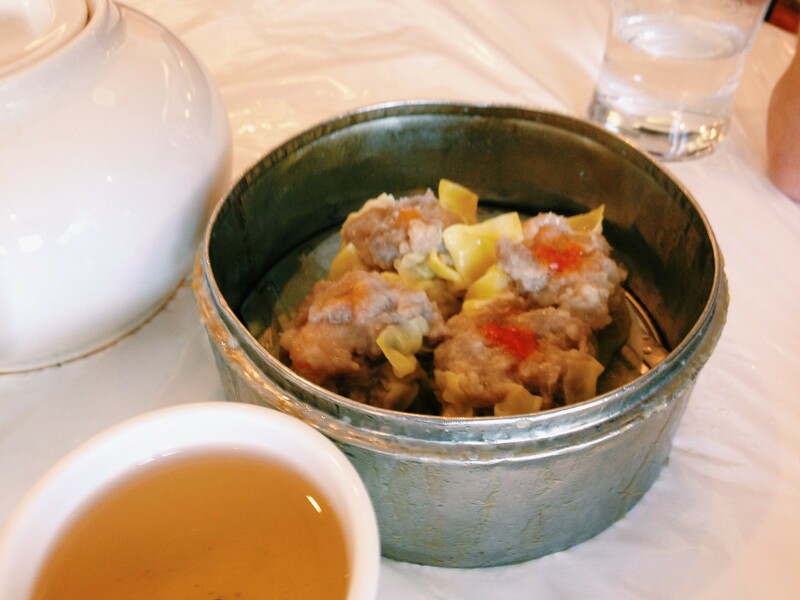 During university, I often ate dim sum at Sky Dragon Chinese Cuisine. 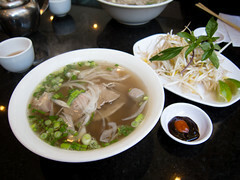 The Spadina, Dundas location was prime and they could always accommodate a large group of hungry students. It helped that prices were low. I could eat a full meal for close to $12 after tax and tip. Prices per dish has increased, but our bill on my last visit was still only $14/person on a Saturday. Atmosphere: Sky Dragon has been around for over a decade and it shows in the worn out decor. The furniture is dated and the tables are covered with sheets of plastic. Somehow it feels right. I’m there for good, well-priced dim sum and they deliver. Dishes are served cart style, my favourite way to eat dim sum, circulating the dining area filled with families, students and tourists. Service: Over the years I’ve been frequenting Sky Dragon, service has ranged from standard to terrible, I-don’t-want-to-leave-a-tip bad. 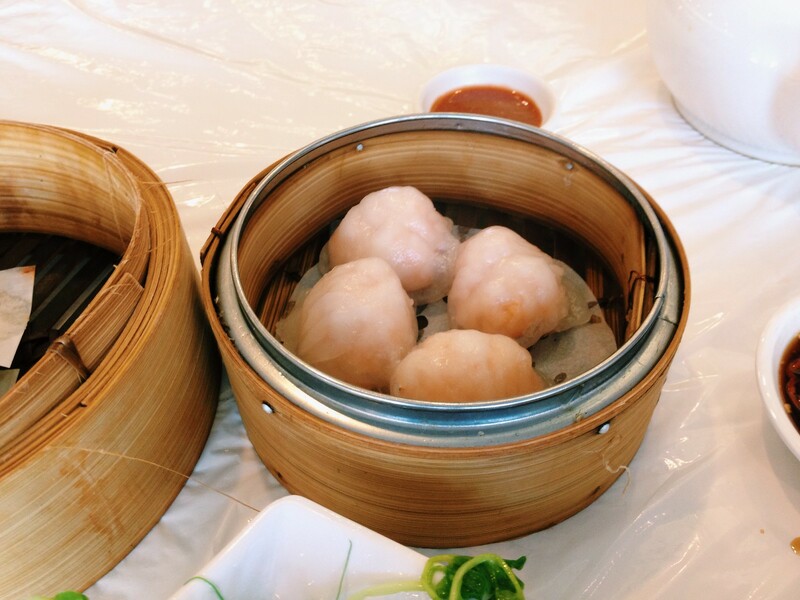 The ladies pushing the carts usually speak Cantonese and some broken English so if you’re new to dim sum, it’s easiest to dine with someone able to translate or to order with your eyes and be adventurous. Like many Chinese restaurants, we were left alone unless we seeked out a hostess. 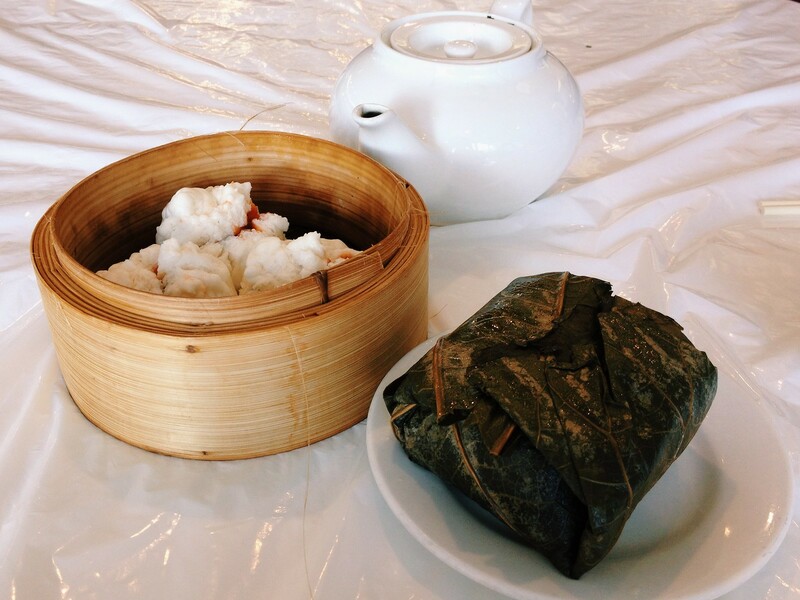 Food: I find ordering dim sum for two people challenging. 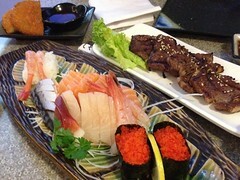 Usually, I end up eating too much because I just want a bite of 10 dishes, but instead I need to eat 2 or 3. 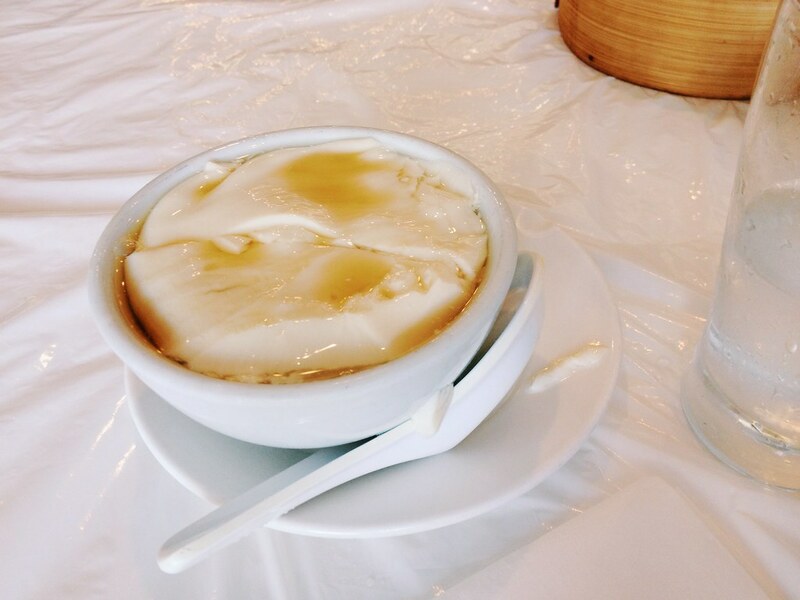 On this Saturday, I limited myself to 6 plates and a bowl of tofu pudding (豆腐花) for dessert. 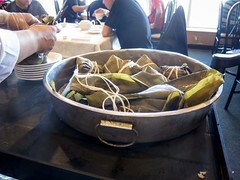 We started with bbq pork buns and a zongzi filled with glutinous rice. The buns were airy and bbq pork on point, while the zongzi needed a bit more meaty filling. Next were a tray each of shrimp dumplings and siumai, dimsum favourites. The plump dumplings had a thin wrapper that wasn’t sticky and a delicious filling. The siumai were also very flavourful, while wrapped a little sloppy. 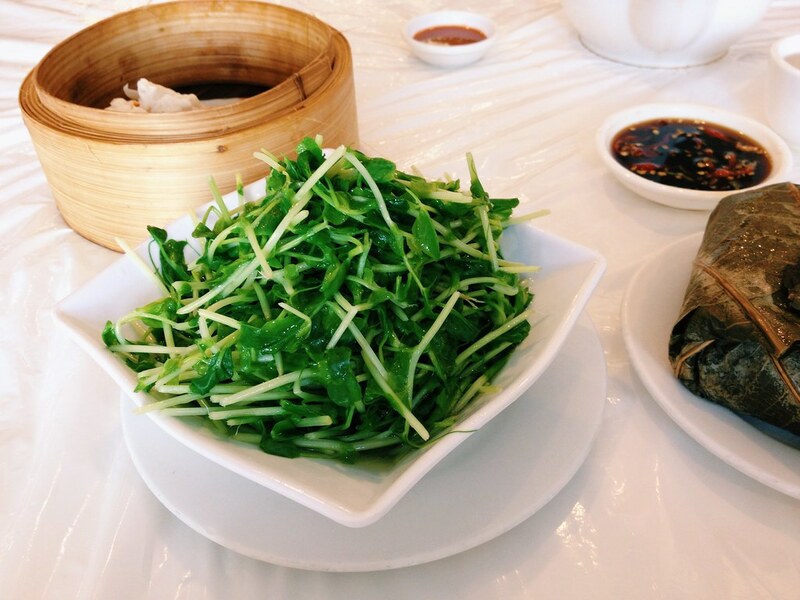 To add some green to our the meal, I ordered a plate of blanched micro sprouts. Served alongside the bowl of fresh vegetables was a chilli, soy and black vinegar dipping sauce. 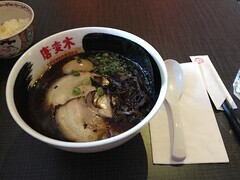 The dish was refreshing and a nice change in between the savoury dishes. 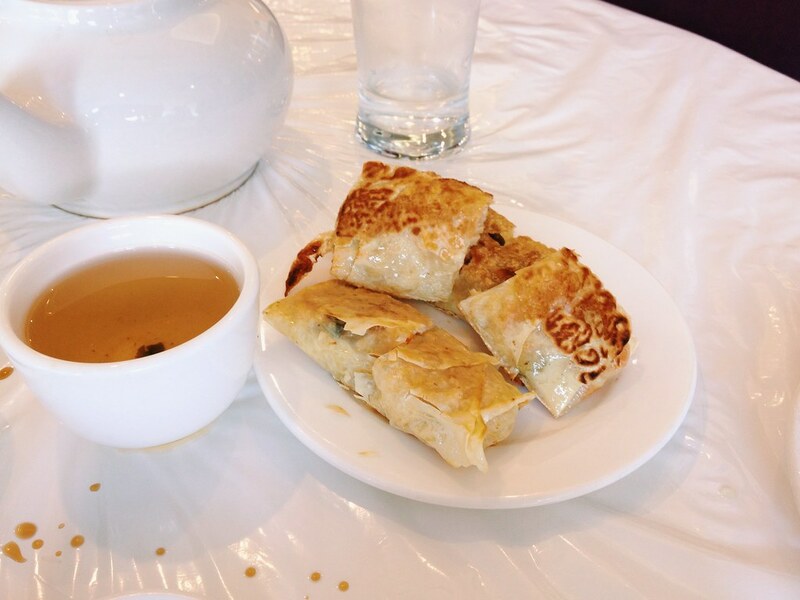 Our last plate was julienned carrots and bean sprouts rolled in tofu sheets and pan fried, reminiscent of egg rolls. Sky Dragon has expanded their menu offerings as I saw plates of Kalbi walk by and it is always possible to order from their full menu. While a little rundown, I’ve never had a bad meal with them and they’ll continue to be my go-to spot for dim sum in Chinatown.